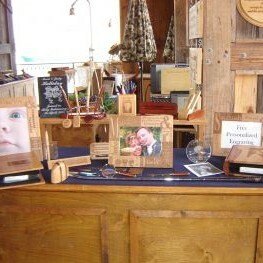 LaserWorks is THE one stop personalized laser engraving gift center. With hundreds of ready to engrave gifts featuring a wide assortment of picture frames, photo albums, pen/pencil sets complete with cases, plaques, key chains, purses, signs and much more. We offer an incredible array of standard products for gift givers that need a little help with ideas or we can also customize our products to meet your specific needs. Come in, give us an idea and let us design it with you. You can even see what your product will look like before we create it. Your product will be ready before you leave. Don’t just buy a gift . . . create one!! !